Hoadley Options is an Excel based analysis tool designed to assist options traders to comprehensively analyse their positions and if applicable, make any necessary adjustments. 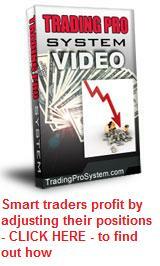 In today's modern world options traders are becoming more sophisticated. The days of buying long calls and puts in anticipation of future market direction have been surpassed by more advanced option trading strategies such as straddle options, iron condors, calendar spreads, victory spreads and other option spreads. By combining any number of short and long positions, strike prices and expiration dates, traders can take advantage of current market conditions together with option implied volatility, to create positions which give them a distinct trading edge such as those taught by the popular and powerful Trading Pro System course. But to do this, you need to be able to analyze the combination of positions and view risk graphs, the greeks and probabilities of success. If you're a US resident and trade options on the NYSE, CBOE or AMEX, then at the time of writing the best brokerage firm by far and away for traders who need advanced analysis, is ThinkorSwim (TOS) by TD Ameritrade. But if you're outside the USA, you may not be able to get an account at TOS, as they now have restrictions on providing accounts to non-residents. Pricing with option volatility "smiles" and "skews"
Peter Hoadley has created what he calls the Options Strategy Evaluation Tool (OSET) which when combined with the Finance Add-in, gives you the above list of features, plus much more. I have read forums where Australian options traders were bemoaning the fact that ThinkorSwim with all its wonderful dynamic analysis features, unceremoniously withdrew and closed their accounts, leaving them without the ability to analyze their strategies. Apparently, the next best thing is to get an account with Interactive Brokers and combine it with the Finance Add-in from Hoadley Options, which by and large solves the problem. Interactive Brokers (IB) are an international firm and an account with them allows you to trade both Australian and US options markets, among others, from one account. Their commissions are very reasonable too. But here's the best part - you can link your IB account with the Peter Hoadley analysis tool and dynamically analyze your positions, just as you would've been able to do using the ThinkorSwim platform. There are other free options analysis tools out there and we have another page dedicated to exploring these if you should be interested.